Saturday the 8th of November, 2014. With the introduction behind us we realised that we had people from varying levels of Xamarin understanding. 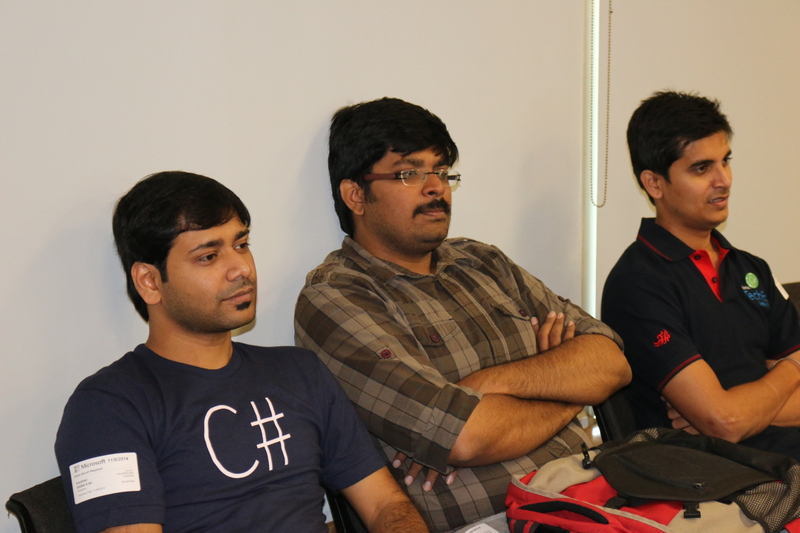 Pro – Developers from industry who had already mastered Xamarin were here only for the recent announcements and demos. Therefore, we attempted to have content to the likes of each group in the audience. Nish started off with the basics and a proverbial hello world of Xamarin to get the audience to the same level and let them know what all the excitement was all about. I gave them an insight into the story behind XHackers, the journey so far. 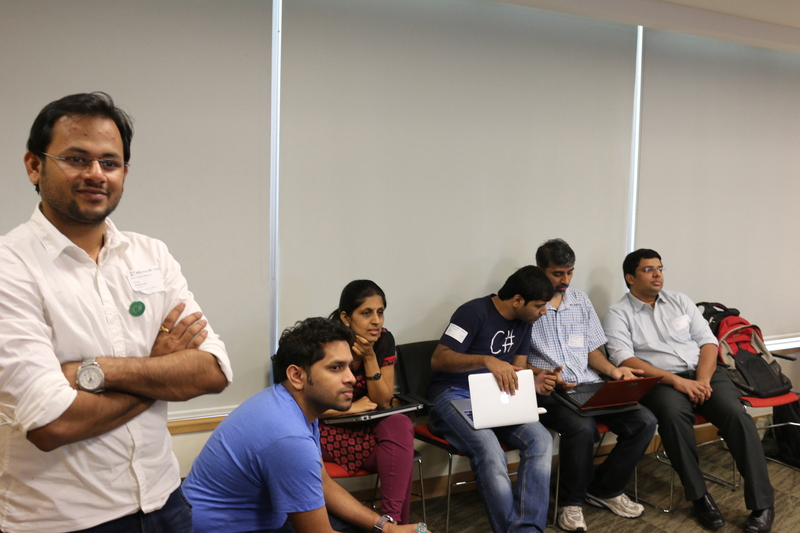 We breezed through all the the meetups so far and its agenda right from our first one @HSR Layout, Bangalore. Detailed them about the expanding chapters of XHackers. Last but not the least introduced the current core members of XHackers. You can find the presentation here. One person stopped me to detail about XHackers name and logo’s design philosophy. I would like to take this opportunity to thank a friend of XHackers – Reeko Johny for this amazing support to create this exciting and fresh logo. It has design philosophy from three major ecosystems Apple, Google and Microsoft in fonts, colours and overall design. X stands for both cross-platform and Xamarin. Hackers are those bunch of people who go one step beyond their normal routine coding tasks to explore the new realms of software development! Find the presentation here. With that Nish continued with his presentation on Xamarin and announcements. He spoke about Xamarin capabilities and code share ability. He spoke about Xamarin Forms, Xamarin Android Player, Sketches, Profiler, Insights, following it up with demonstration of these new features. He also spoke about the partnerships and components availability that Nat spoke about during Evolve. You can find the presentation here. Vidyasagar upped the ante with an exciting sneak peek into gaming with CocosSharp. He showed us folks how easy is to do start doing some basic game programming and answered to the cheeky questions from audience. His perspective and blog on the same could be found here. 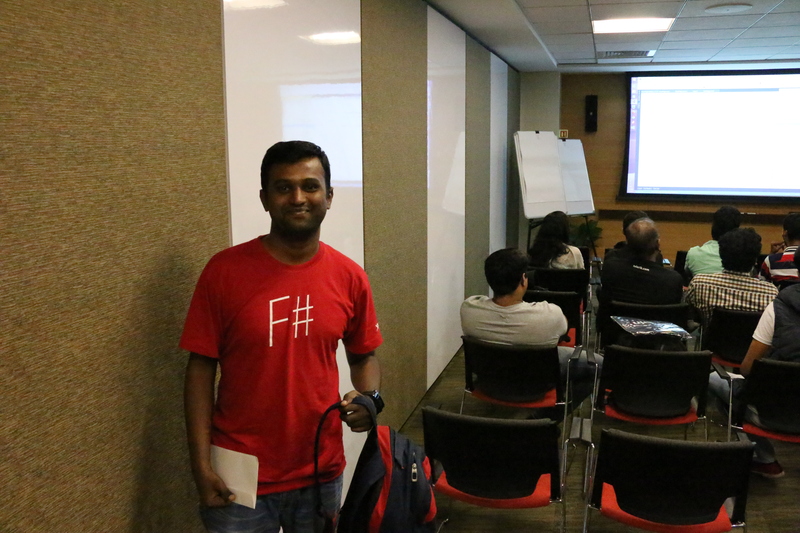 Lohith followed that up with a session on Telerik and their amazing Xamarin Forms controls for new wave of cross-platform applications. He showed some interesting demonstrations of the many controls that they have custom-made for Xamarin Forms. This session was especially handy for the folks from enterprise who were there for this session. They had specific questions on how it could be leveraged for their existing applications and Lohith answered to them happily. More information can be found here. Chaitra coming fresh from her TechEd talk on connected devices, continued with the same passion to talk about the future of connected devices and how Xamarin would help us write for the world of connected devices with applications for multiple devices at the same, including the amazing Android based Moto 360. Nish was wearing that watch with the service running in fact. 🙂 She also spoke about code shareability and other details based on her enterprise experience working with advanced enterprise Xamarin applications and application scenarios. Anubhav and I closed the session with some Q & A and goodie fest. T-Shirts and monkeys were given to the avid tweeter in the audience (Prabhu Jackson) and a few other folks with insightful questions. We shared the documentation about Xamarin and ways to order Xamarin T-Shirts. On closure, we also launched a CONTEST. The best blog about the event will stand a chance to win a Xamarin Forms book!!! Write a blog, publicise and let us know about it. Come back for the next event and if we find that yours is the best, the book is yours for keeps. If there is one thing we all agreed at the end of the session, it is simple. It is an exciting time to be working with Xamarin and making applications. So enjoy the ride! I sincerely, hope this blog inspires you folks to write about the event and win the amazing gift. Nish, Prasant, Mayur, Anubhav, Kirti, Chaitra, Pooran, Murugan, Vic, Lohith, Vidyasagar for making this event successful. and of course, our friends @Microsoft.